This Victorian pub has been in the family for generations. 100 years ago they bought barrels directly from our distillery. You can still see some of those same barrel heads inside the bar today. Unfortunately, all the bottles from that era are gone. Fortunately, we’ve always made our Irish whiskey the same way. 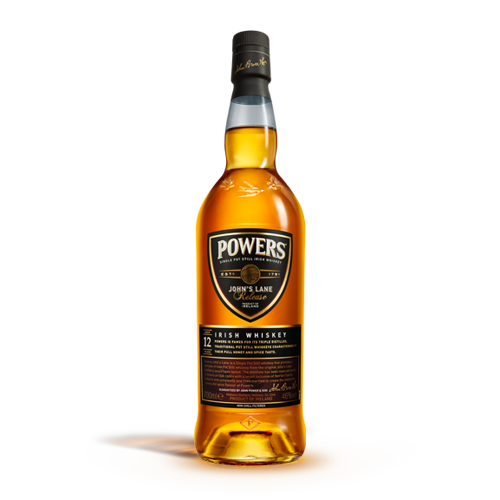 A celebration of the original style of Powers Whiskey. Matured for 12 years, mainly in first fill American bourbon casks with a contribution from a maturation period in Oloroso sherry butts. The result is an outstanding lingering robust taste that provides a perfect tribute to our spiritual home. This is one of the original POWERS Mirrors installed in the 1800s. We have records of POWERS staff regularly visiting accounts like The Swan to repair parts to make sure they looked their best. The current owner rediscovered this window in the attic upstairs, but it originally sat in the window proudly facing out to the street.